Well, planespotting is maybe not the right word, since I just had enough time to look around from the windows, but it is always exciting to go through one of the World's emerging mega-hubs. One of the things that fascinate me about Atatürk international airport in Istanbul is that it is truly a 24 hour airport, with flights taking off and landing all day and night to cities as diverse as Aalborg, Kinshasa or Ashgabat, to name just a few...actually by looking at the information boards one can even assume that peak hour at Istanbul might be sometime between midnight and 3am...! 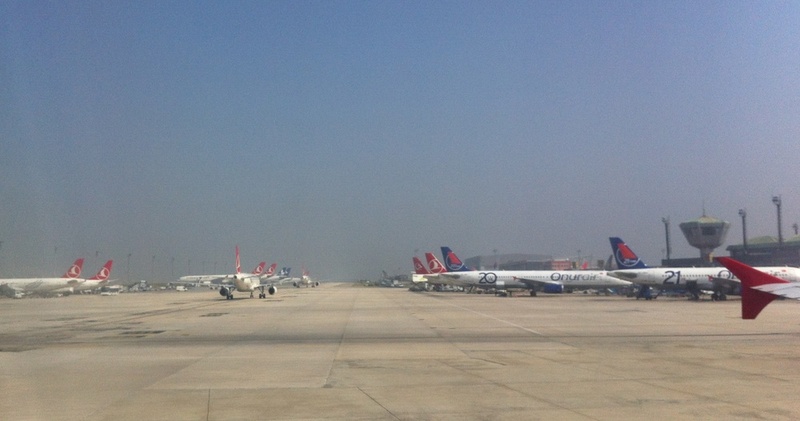 No wonder that plans are under way to build a brand new airport to serve the city of Istanbul and Turkish Airlines' fast growing hub! 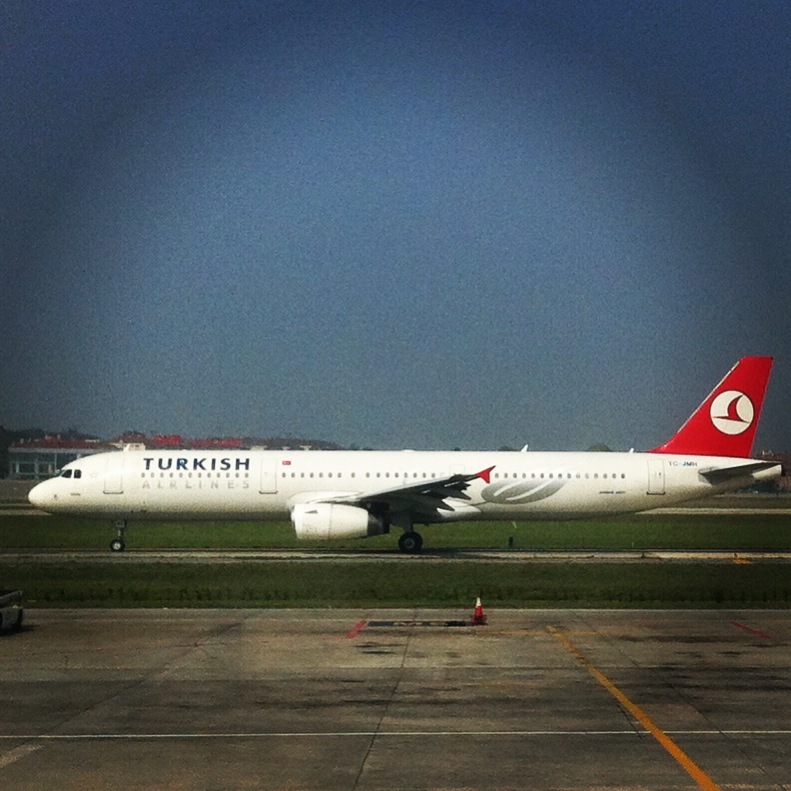 In any case, here are some pictures that I took while at Istanbul airport that I would like to share with you. And remember that if you like aircraft and airline-related pictures you can always check my Instagram and Pinterest profiles!